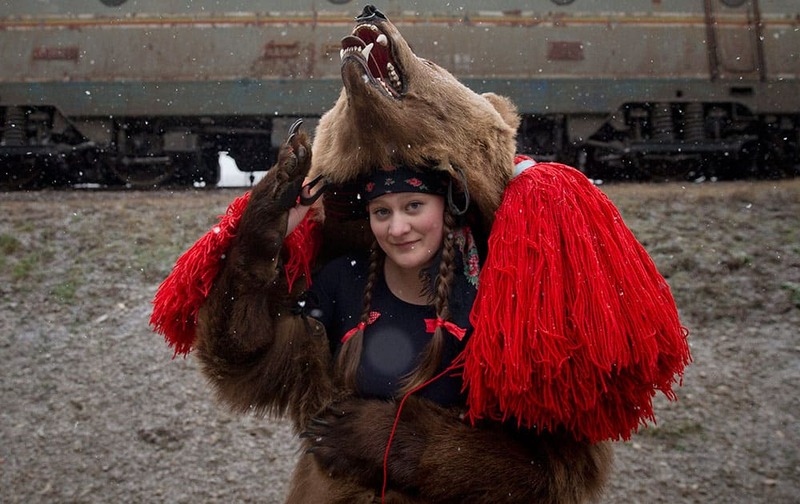 A girl wearing a bear fur poses for a portrait before performing during a festival of New Year ritual dances attended by hundreds in Comanesti, northern Romania. 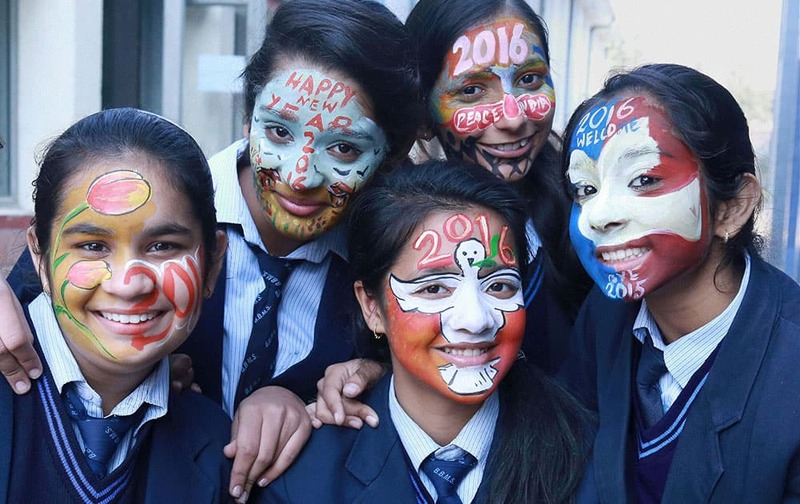 School girls paint their faces with New Year greetings and wishes in Gurgaon. Sgt. 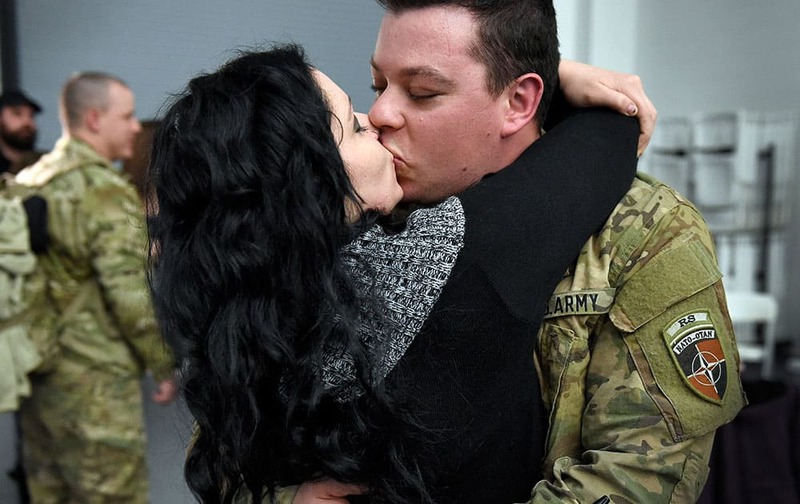 Christopher Cruz of Danbury kisses his girlfriend, Amber Gerard, of Brewster, N.Y, after arriving at the National Guard's Windsor Locks Army Aviation Readiness Center in Windsor Locks, Conn.
Sgt. 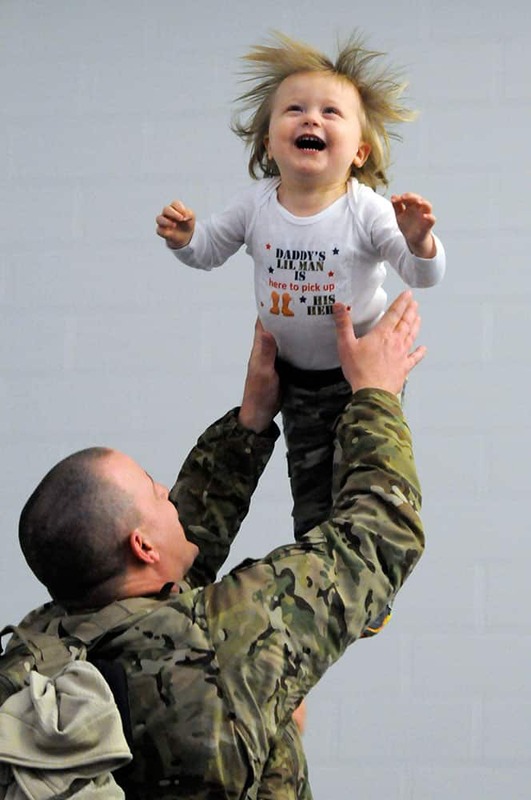 First Class Gary Foran Jr. tosses his 18-month old son Logan into the air after arriving at the National Guard's Windsor Locks Army Aviation Readiness Center in Windsor Locks, Conn.
Rofaida Elzubair punches a target during a self defense class in Washington. 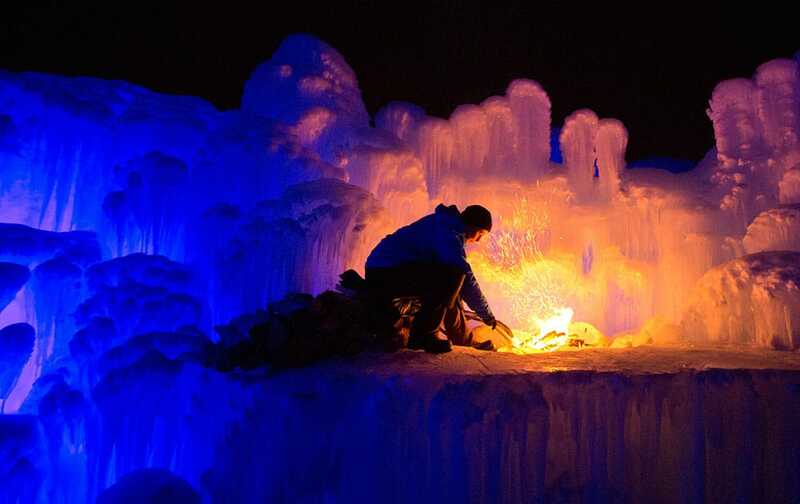 An employee stokes a fire in a giant ice castle in Edmonton, Alberta. 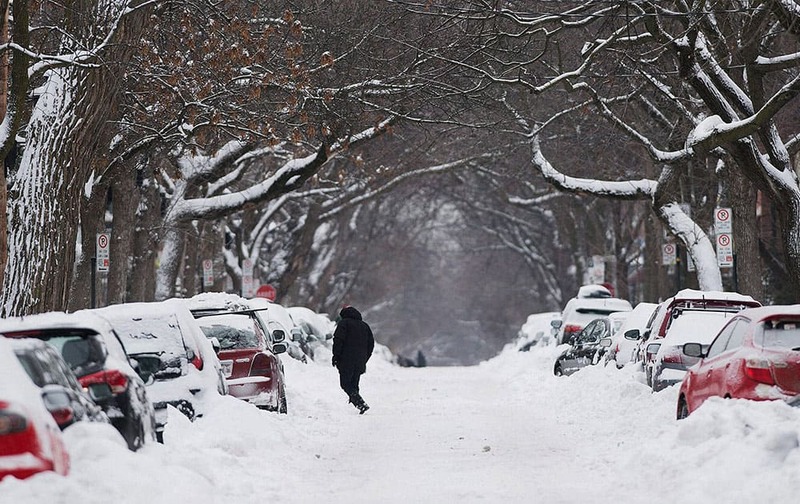 A man walks along a snow covered street in Montreal, following the first major storm of winter in the region. 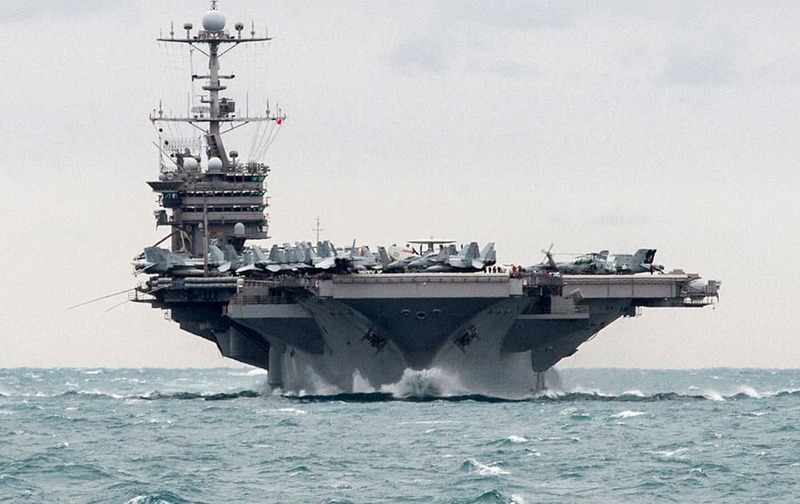 the aircraft carrier USS Harry S. Truman transits the Strait of Hormuz. Iranian naval vessels conducted rocket tests last week near the USS Harry S. Truman aircraft carrier, the USS Bulkeley destroyer and a French frigate, the FS Provence, and commercial traffic passing through the Strait of Hormuz, the American military said Wednesday, Dec. 30, 2015 causing new tension between the two nations after a landmark nuclear deal. 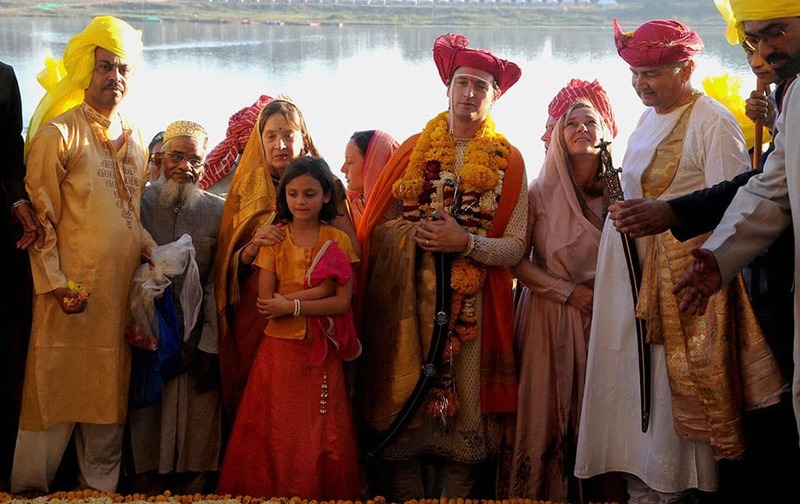 Holkar dynasty prince Shivaji Raos (Richard) son Yashwant Rao Holkar during his wedding ceremony with industrialist Vijay Crishna Godrejs daughter Nyrika at Maheshwar in Khargone. 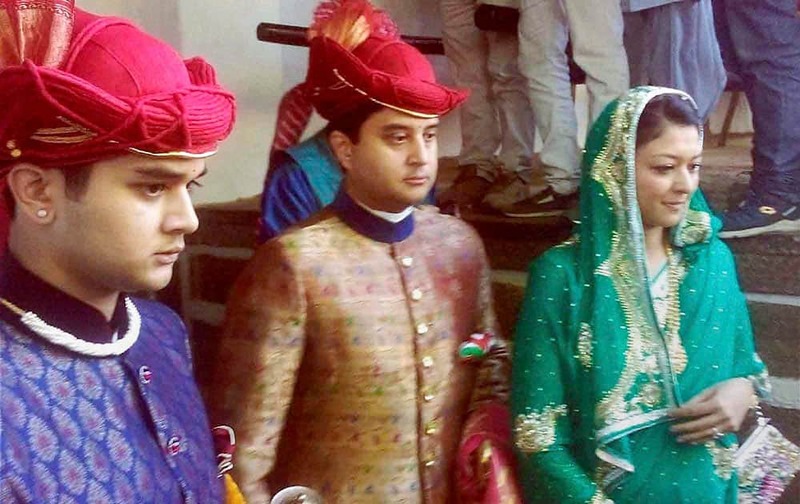 Scion of Scindia dynasty and Congress MP Jyotiraditya Scindia with his wife Priyadarshini Raje Scindia and son Mahanaryaman Scindia attending barat procession during the royal marriage of Holkar dynasty prince Shivaji Raos (Richard) son Yashwant Rao Holkar with Industrialist Vijay Crishna Godrejs daughter Nyrika at Maheshwar in Khargone.